Leading families through the Bible in three years is a breeze with the easy-to-follow FaithWeaver® Teacher Guide. Pre-K & K Quarterly Teacher Guides equip you to lead memorable, life-changing lessons. 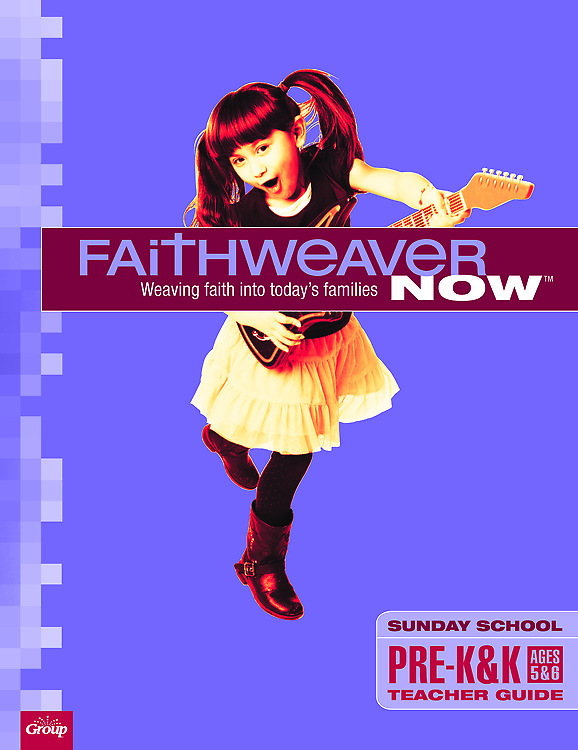 • Families learn the same Bible point in age-appropriate ways. • Kids don't just hear the Word-they experience it. • Simpler and easier lessons fit even the busiest lives. • You'll help kids see God in their everyday world. • The scope & sequence goes through the whole Bible in 3 years. • You can customize it however you like. • And...you'll get a new FREE editable digital version. The right choice for Sunday school!